Dual Newmarket winner Redkirk Warrior will be aimed at longer races including the All Star Mile. Redkirk Warrior is unlikely to defend his Lightning Stakes and Newmarket Handicap crowns, with the Lindsay Park team setting him on a path towards the All-Star Mile. 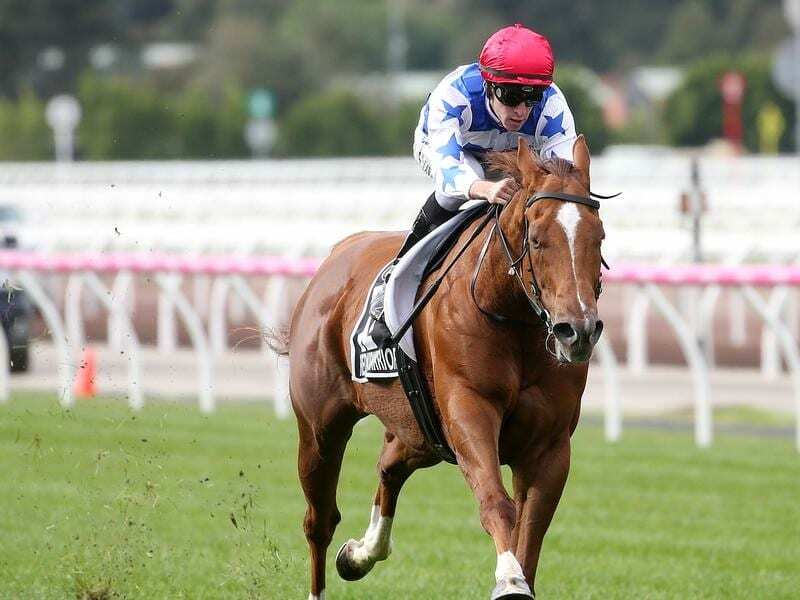 The imported Redkirk Warrior has won the past two Group One Newmarket Handicaps at Flemington over 1200m and also last year’s Group One Lightning Stakes (1000m) but Lindsay Park senior trainer David Hayes is taking a different approach this preparation. The gelding, who failed in two starts in England last year and the Darley Classic at Flemington in November, closed strongly in a jump-out at Flemington on Friday and could make his return in Friday night’s Group Two Australia Stakes (1200m) at Moonee Valley. That will be a stepping stone to the Group One C F Orr Stakes and Futurity Stakes, both over 1400m at Caulfield next month, in the hope of gaining an All-Star Mile berth. Voting for the inaugural All-Star Mile (1600m) opens on Monday, with 10 of the 14 places in the March 16 race at Flemington to be decided by public vote before Racing Victoria announces four wildcards. “He trialled very well and he’s going to have a path set towards the All-Star Mile,” Hayes said. “I reckon we might kick him off in the Australia Stakes. “I know his trial was good but he’s only had one trial so I reckon that the Australia Stakes will bring him on for the 1400-metre races at Caulfield. “If you go for the Lightning and the Newmarket, he’s probably going to get too much weight in the Newmarket and you can’t run in the All-Star Mile,” he said. “But if he was to have a setback or anything we’d divert back to his old tricks, sprinting. There are 130 All-Star Mile nominations including 35 Group One winners and horses from across Australia and also a couple from New Zealand. Voting is restricted to Australian residents.